The next stop on the cruise was Raspberry Island. Built in 1862, this is said to be one of the few remaining wooden lighthouses on Lake Superior. The 43' foot structure stands 77' above the shoreline. 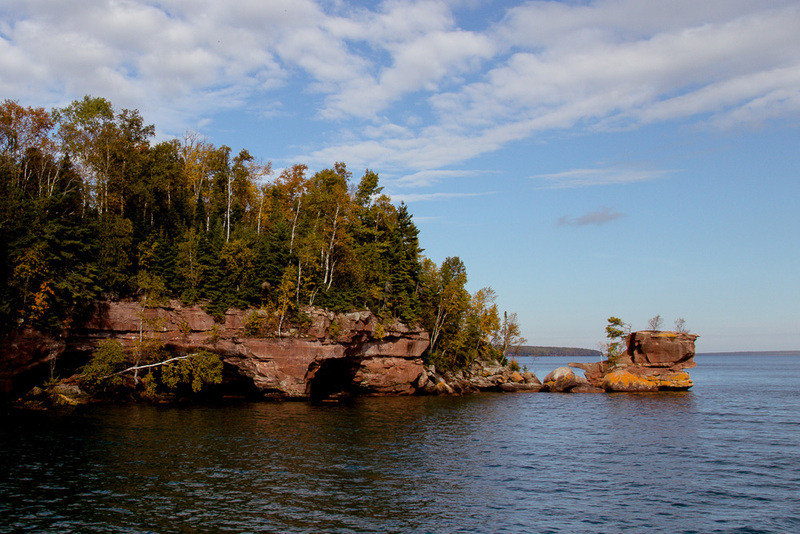 It was placed on the southern part of Raspberry Island to mark the west channel of The Apostle Islands. 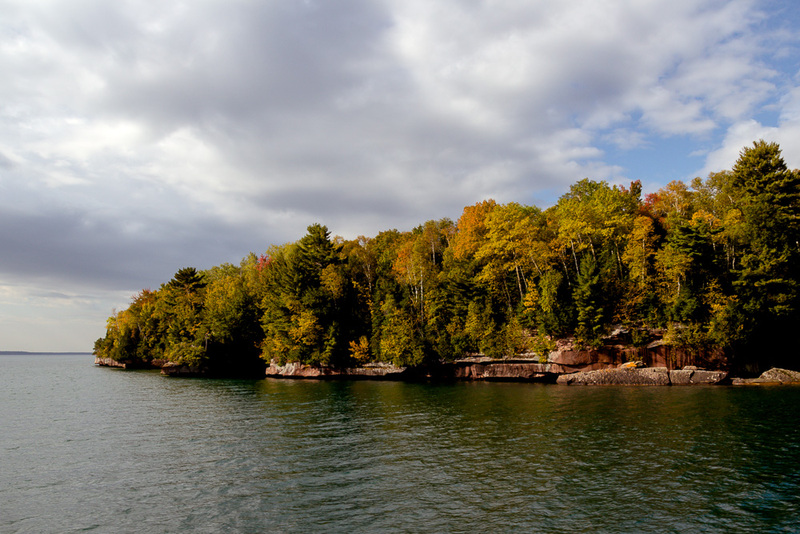 The other two shots were taken during the 3 1/2 hour tour of The Apostle Islands.